Comprehend the prevalence of hepatotoxicity associated with sevoflurane and other halogenated anesthetics. Review accepted mechanisms of hepatotoxicity from sevoflurane and methods for confirmation of the diagnosis. Recognize gaps in knowledge surrounding the prevalence and mechanisms of sevoflurane hepatotoxicity and begin to discuss how they may be addressed. Dr. Dolores B. Njoku is an associate professor of Anesthesiology and Critical Care Medicine, Pathology and Pediatrics at the Johns Hopkins University School of Medicine. In 2005, Dr. Njoku opened the door for understanding the pathways in the liver-injury process when she published results of her work with a mouse model that replicated the drug reaction in the liver that had been seen in patients. 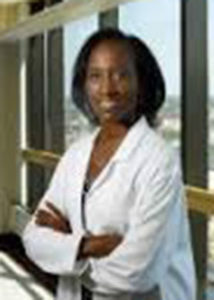 In her institution, she has served as director of the Pediatric Anesthesiology Fellowship program from 2007 – 2018, on the Research Committee since 2013, and the Principal Investigator of her lab where she has investigated mechanisms that initiate injury in the liver and other organs in addition to mechanisms responsible for the increased prevalence of drug-induced autoimmune liver disease in female patients since 2009. Dr. Njoku has served as Councilor for the Association of Academic Subspecialty Program Directors and ASA-liaison to the American Institute of Ultrasound in Medicine. 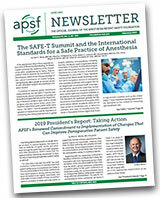 She currently serves on the Executive Committee of the Foundation for Anesthesia Education and Research (FAER), as the Chair of the FAER-APSF Mentored Research Training Grant Committee, and as a member of the American Society of Anesthesiology, the Society for Academic Anesthesiology Associations, the American Board of Anesthesiology and the American Association of Immunologists.